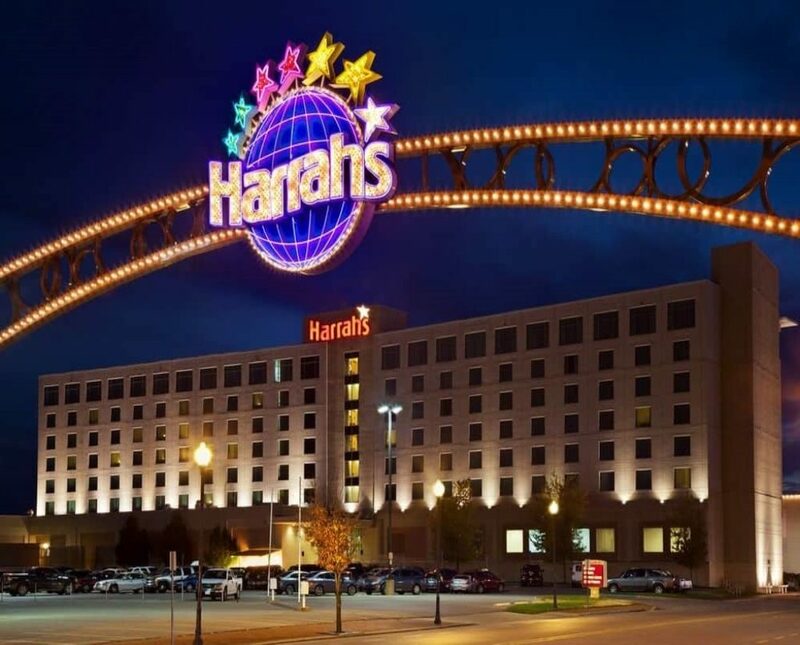 Located in beautiful southern Illinois on the picturesque Ohio River, Harrah’s Metropolis brings the pulse-pounding excitement of Las Vegas straight to you with premier rooms, exceptional dining, live entertainment and a vibrant casino floor. 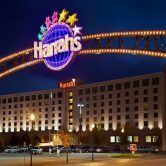 Harrah’s Metropolis features a total of 252 Deluxe rooms, making it the best place to stay and play! • Markers may be drawn at any Cashier’s Cage, or right from your favorite Gaming Table. Not all applicants qualify – Approval based on consumer credit report, financial and gaming history. Caesars reserves the right to revoke credit privileges at such time that Caesars determines that Casino Credit should no longer be extended. Must be 21 or older to gamble. Know When To Stop Before You Start® If you or someone you know has a gambling problem, crisis counseling and referral services can be accessed by calling 1-800-GAMBLER (1-800-426-2537). Present your valid, eligible loyalty card from select competitors to any Total Rewards Center between June 1, 2017 and September 30, 2017, and we will upgrade you to Diamond status through January 31, 2018. Many great rewards await locals! 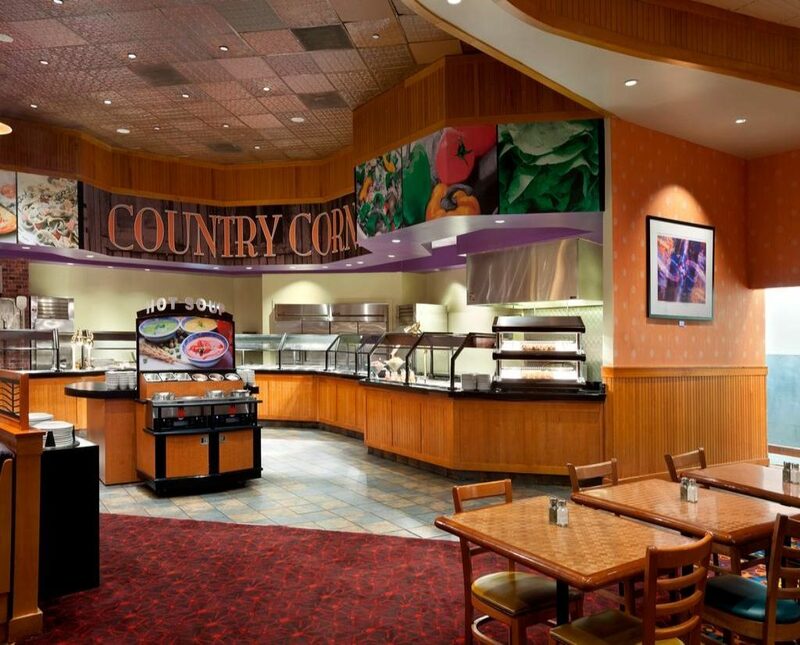 Whether it’s 50% off at Fresh Buffet or special hotel pricing, we will make you feel like a VIP. Don’t fumble this, there is $30,000 on the line! 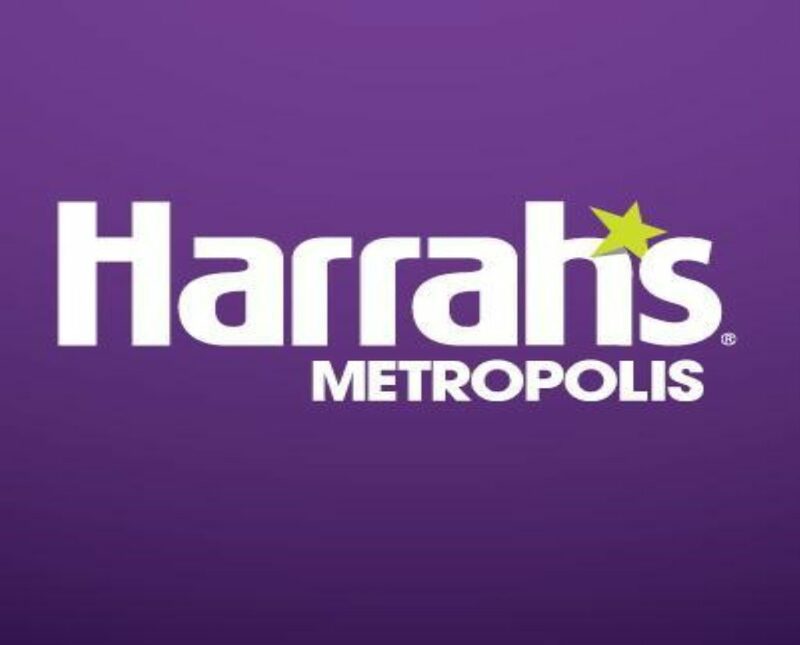 Visit Harrah’s Metropolis for a chance to win your share of $30,000. Zero stars. We went for a concert and afterwards were asked to leave. We had only had two beers at the time. The casino was crowded and outdated. We will not be back. By far the worst casino experience we have ever had. Has nothing to do with losing money, but machines that we played(several but still small sample size) were the tightest we have ever seen. The stench as soon as you walk through the doors was disgusting, and one of the bathrooms was so fly infested I had to find another. The buffet dinner was minimal and bland. But the price was right and the breakfast buffet was good if minimal. Nice friendly staff. Very nice clean rooms. Food was great too….. I don’t understand these bad reviews! As far as winning $$$ , people it is a casino, you win some you lose some. 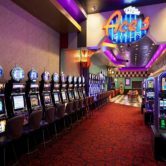 We go for the fun of it and we seem to get more bonus’s at this casino on slots than on other places we go, and we go often. It is also very clean! There is no ashes or nasty grime on the machines because it’s non-smoking, which I love! Just came back from Tunica and many machines were nasty and full of ashes. Harrah’s Metropolis is a very clean place but yes outdated, who cares, I go to have fun and We do at Metropolis. They also have great promotions almost everyday! I have nothing to complain about at this place except we do not care for the buffet. Great staff and a great place to have fun, guess it’s all in the attitude! Been there numerous times and have won here and there , but absolutely nothing the last year…. I’m taking my $ to Evansville or Cape Gerardo wear you have a chance ! Harrahs casino is a absolute rip off. Booked a room with a representative. which quoted me a price of 377 for the 4 nights including tax , when I checked in the collected the 377 in addition to the 50 dollar deposit. When i checked out the charged me a additional 103 dollars. When I disputed these charges, first they’re rude as hell. They informed me that 40 of those fees where for the shampoo and soap they provide u with. Even when they only had supplied those the very firs…t night 1 mini bottle of shampoo and 1 mini bottle of soap. (all other hotels I have visited provide those items And are included in the price of the room) I guess all I’m saying is beware if u stay at Harrahs in metropolis because there’s all kinds of hidden charges they don’t tell u about. Also my phone went down while I was staying at Harrahs and had dial out 4 times for no longer then 1 minute and when I checked out they charge me 80 dollars for 4 minutes worth of conversation they said this was att that charges this fee, which is a lie because I spoke with att and they said that it is the hotel. When I spoke with the rude women at Harrahs in metropolis. They said they have watch and listen to recording. And said they made aware of these charges but they could not provide me with any of those recordings(because they are lying) I know what they told me and no additional fees where ever mentioned. All in all I spent 537 dollars Just in room charges not to mention what I spent at casino, and for food purchased at casino. What a horrible establishment. ….. Rude management….. The employees always make you feel welcome & special!! Normally I go here, once a month & sometimes more, to have fun sometimes & sometime, I go just for relaxing few days…..!! 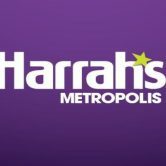 Harrah’s Metroplis is a fun exciting great place to visit..!! If you go once you’ll go back!! I realize in it’s name it has Casino, so your not always going to win like most people think they should. I read on here how someone dropped 100.00 in 45 min. 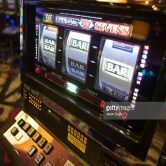 move, sit and move again, stick with penny slots, and if your that concerned about losing a hundred dollar bill, stay away. Zero stars. Employed there for 2 years. Watched good, hard working people and our families such as myself get fired over no proof of incident or for simply doing our job. Then fucked out of our benefits by a company that illegally lies to a government agency so they don’t have to pay the benefits we are owed from being fucked from our job in the first place. Merica! Checked it out last night for first time since boat floated away! I def. miss the RANGE restaurant, much more pleasant with better menu then the restaurant now. Casino on one floor is convenient. Bar area with band a nice addition, but NOT enough seating. As far as winning, I have won here often before. Last night I actually won $400 on a $1 slot, so all in all a fairly good time. Room was nice but the shower sucked water was coming out both sides no pressure toliet didn’t flush tv went out no signal WiFi was crappy no pool didn’t have many slot machines only one floor very disappointing. Trying to figure out what the resort fee is for that they charge you for at check in? No pool, no golf course etc?! For half the money you could stay at a nicer hotel next door with free wifi and a pool and not pay a resort fee! Stayed at this Metroplis hotel July 10th, 11th for my class reunion at the Baymont next door. Nice, cool, clean, comfortable room. Good, affordable restaurant. Friendly staff. Only wish they still had Banquet rooms still in hotel, always loved just staying in one place! Please bring back the Banquet rooms! When I checked out of hotel after 1 night stay, paid cash for balance due for resort fee on comp room. Good thing I asked for receipt because charge was also put on my credit card that was asked for at check-in. I am accustomed to this request from casino hotels at check-in for comp room.. Called around noon today to request credit on my card for this duplicate charge. I was transferred to front desk where they pulled record of my stay and acknowledged duplicate charge, t…hen transferred to front desk supervisor for adjustment. Call was not answered. Called again. Front desk transferred me to supervisor’s voice mail where I left message. Approx 7 p.m. now and no response to my request. Not complaining about expected low slot payouts, sub par food, and even the stench of sewer smell when first entered room. Luckily housekeeping was in the hallway and she graciously came in and sprayed walls and carpet with a deodorizer that took care of the problem. However, I would appreciate a call back re my request for credit of charge made to my card when paid balance in cash. Since no consideration from this hotel, will contact Harrah’s corporate office in hopes they will help me with this request. For the price you pay, there really isn’t much to this hotel/cassino. The prices at the restaurant and bar are higher than most. I booked online and then was charged more for “amenities”. Every other place I’ve stayed includes your toiletries in the price. Besides the majority of the staff being very friendly, there was nothing else that would bring me back. Mediocre at best. Jr. suite had dirty glass on the end tables, the tray with the ice bucket had so much dust it looked furry and I have the picture to prove it! Used to go here while stationed at Ft. Campbell. About an hour or so drive from Clarksville. Looks a lot smaller since they moved to land. Used to love the boat. Lots of slot machines. Staff was friendly, players were always helpful if you were new to the game, and the place was always clean. I’m not a big gambler or spender so I think the most I ever spent here was $60, not bad. The most I ever won was $85 off Mississippi stud. I used to just go as an excuse to get out of a military town and visit another state. Now the huge negative about this place is the fact that the dealers never shuffle the cards in front of you. They are raised to the table. That right there is the only reason I would never gamble over $100 at the tables. Horrible customer service& was charged twice for my room. Don’t stay here unless you’re looking to be screwed over. Great. Place. Boat. Casino. Hotel. Buffet. Clean facilities. We go to hear music….usually some good bands and great prices on drinks! It could have been more fun. You can’t win anything. The machines are too tight. Not as much fun as it was back in the day. You used to be able to go out on the river when it was a riverboat. Can’t experience that anymore. The buffet was over priced for the small selection of food. And the slots…let’s just say they were money takers. Very disappointed in the cleanliness of our room. The dust on the furniture was “thick.” I hate dust. And with only a few pieces in each room, you expect it to be regularly dusted. Even after I brought it to the attention of housekeeping, they did a half assed job. I will use the facility again, but will probably bring a can of Pledge. I like the people who work there are friendly my room was always clean. Shame on you. Falsely charging people and I wasn’t aware you could hide reviews on Facebook. ..and yet you have. An unethical casino, imagine my shock. It’s true. The winnings are far and very few. The staff are always helpful. I have found another place. That the payout percentages are way better. I go to casinos to play slot machines, however Metropolis machines are tight and pay very little. They will give you a very few points to encourage you, but in the end will take all your money. Also, the music was on and was very loud. 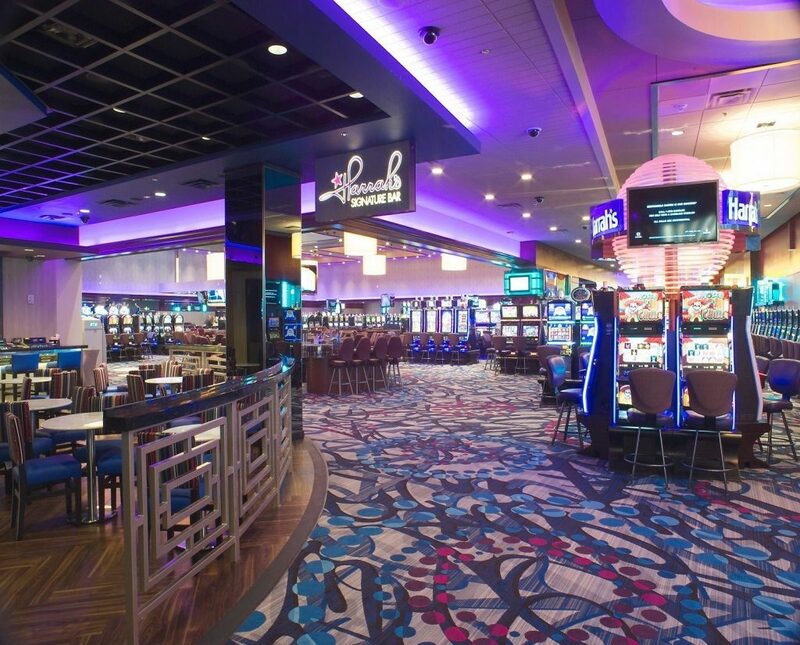 You will get way better odds if you go to Tunica, MS to gamble. They charge for their Wi-Fi. You can get 2 devices for free. Which were my and my wife’s cell phones. But I had some business to do on my laptop, so that cost me $9.99 a day extra, which was charged to my room. As much as you pay for the room, you’d think you’d get totally free Wi-Fi like most hotels. Slots were way to tight! The buffet was the worse I’ve ever seen. Big mistake deciding to go there for my birthday, I’d rather drive a few hours more and go to Evansville! OMG!! The hotel was very very nice and comfortable. The buffet was good and breakfast at the Co. The Bed was so soft and comfortable. Slept like a baby. I was satisfied with the room. The Casino could be bigger. Looser slots too. Lol. Enjoy my stay over all. Over all its a pretty good hotel. 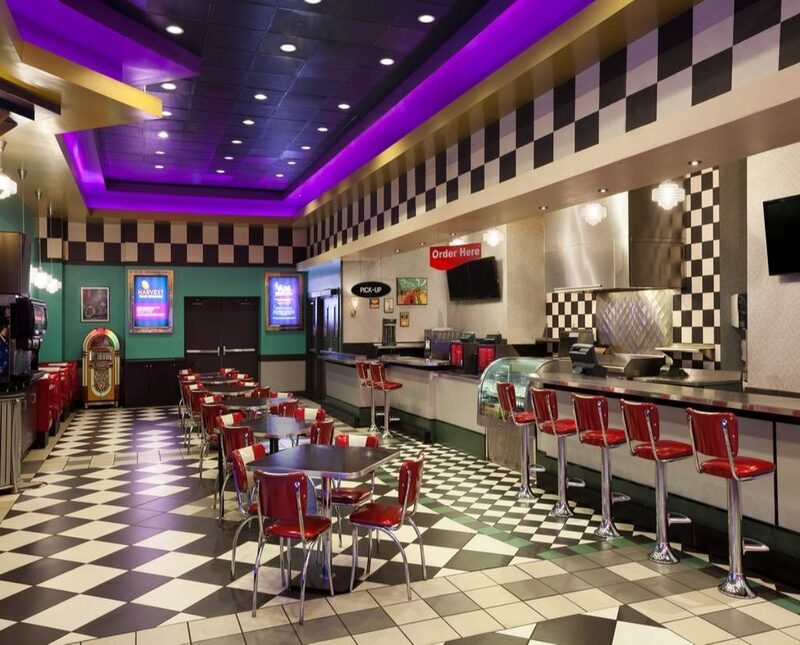 Its always clean and most of the staff there are very friendly and helpful. Keep up the good work harrahs! Our room was very clean…also a lady named Rhonda in housekeeping was extremely kind to us…(we had somewhat of an emergency ..which she helped me with)..
It’s early. I’m hungry. I can’t believe you don’t have room service here. Although I don’t know why I’m surprised. You only have valet parking on weekends. You can only get basic wifi for 2 devices per room. There’s no pool. Why, exactly, am I paying a daily “resort fee?” Tell me, where is this resort of which you speak? The accommodations are very nice. The casino looks nice, but the slots are tight & table games empty. Love the free rooms and the free buffets gives me extra money to spend on the machines might not always walk away with money but it’s fun to play!! The staff is always super nice! Hadn’t been in years so decided to go this weekend. Very disappointed and won’t be back. 1 small room with no options nor variety of games. Was a waste of a 4 hour drive. This place was pretty terrible. I literally just lost my money in the slot machines. Usually the balance will go up and down and it’s exciting. At other casinos, whether I lose all of my money in the end I still have fun because I win sometimes too. That was absolutely not the case here. I lost $100 at the Wheel of Fortune in less time it took me to finish my first drink. This place is also horribly small and the non smoking was unusual. I know some people probably like this part, but come on, casinos are a basically a house for vices so why not smoking too. I highly doubt I come back. I really wish I would have read more of the reviews before wasting a trip and my money. Got a free hotel room booked it .nice dinner few drinks went to check in at hotel I left my visa on table at home. I gave them my credit card number on phone..thay had it.also showed them my id at desk.had no way to get money for room then drove all the way back home. winning nothen ..my luck sucked.dinner was very good . If it wasn’t for bad luck I wouldn’t have no luck at all…. I think the Casinos just don’t get it . A LOT of us players just like some place to go to get away for awhile. We don’t expect to hit it big (that would also be nice) but just to play for awhile. Win some Loose some. My experience was loose ,loose, loose. Will not go back for a long time. Ate our thanksgiving lunch there. Variety & items were good, & service was very good also. I went for the boat casino, enjoyed it alot last visit. But went there yesterday … boat casino GONE only 1 floor with very tight machines lost in the first hour. Got a room and found out there is no buffet M-T and Wednesday. not even coffee. Had to go out to eat. The changes they made are a bad move. I doubt we will return any time soon. 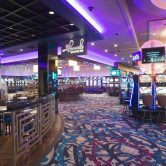 I love Metropolis the rooms are nice and clean the people was always nice I didn’t win the last time but I truly enjoyed myself I would definitely go back another time which I do several times a year great Casino great staff love the rooms. Nice room for sure. Not sure why a casino that makes tons of money has to charge 7.99$ per device for wifi and has only 10 channels on their tv. The room was nice though. Really nice beds, fur baby friendly, casino is good for a stroll one evening. Been there twice in November and yesterday and never won anything. From other reviews seems that is happening to everyone. I will just go back to Tunica they have several casino’s and pay out. Don’t waste your time!!! It’s a joke… go to VEGAS!!! Drove here over 5 hours for New Year’s Eve. Didn’t even get past security for no reason due to power hungry low end security and our group was clearly singled out double checked and was treated like trailer thrash by security who must have just gotten promoted from janitorial management. Other than us people were just waking in. I have never been so such disgust by such an establishment or employee whom had the knowledge… to go find proper management to overturn the situation but decided not too. Instead all the higher ups whom were actually dressed to the part in tuxedos stood back. Meanwhile someone in non slip black shoes looking like he just came from the “all you can eat germ filled buffet in zip up corduroys” tried to handled the situation and clearly wanted to feel empowered. I promise with the money I would have most likely wasted or been blindly robbed by this establishment could have at least written you off a nice suit for work since your in management in all. I honestly couldn’t decide if they mediator of this situation was the janitor or actually upper management security for real. But on the good side I didn’t have to get my valet parking validated bc they are giving that away for free! WHAT A RIP OFF. Hope this establishment goes bankrupt in 2017! Happy New Year! Felt very unsafe. Redneck Casino and staff is rude! No customer service at all! Management is a joke. I drove 5 hours to come here for NYE and they didn’t even let’s us in. They were clearly power hungry and not to mention you can’t even take pictures outside or inside the casino usless you appeared over the age of 30 but you could pretty much go through security without a pat down if you looked “older” so to speak. Don’t think it’s fair or safe to not provide ID for every in…dividual as well as a pat down for safety. Worst place ever! Thought I was going to get shot up!! Honestly the low end security stands on payroll all night discriminating and judging every guest that walks past. Over heard many derogatory comments as guest entered while the “management” whom looked like he was over janitorial services tried to mediate the situation. Just happy my attorney didn’t tag along on this trip. Happy New Years to an establishment that is clearly going down hill in a a town of nothing!!! We had a great time bringing in the New Year 2017! Great atmosphere and the party favors were great! We were there for NYE. The place is very small and you run out of things to do in a couple hours. We play BJ and craps mostly. They had two ten $ tables that stayed packed and if you get a seat you don’t want to quit when the cards start turning. The slot machines were really tight. However did see one guy win 6000$ on a dollar machine and a man won $20,000 on a 25 slot. We won overall on bj but place was not worth the drive. Also kinda pissed about no comp buffet even tho we have been to harrahs in New Orleans, Biloxi and metropolis in one weeks time! Didn’t count for anything! My wife and I visited Wednesday 05 January, from about 10am to 3pm. There were not many other players there so we were pretty much able to play whatever games we wished. We played the quarter slots, and within the first hour each of us had hit $125 spins. We continued up and down throughout the day on a number of machines, taking a lunch break for comped entrées at Bridges – huge tasty burgers and killer onion rings with a great beer/cheese dip. Shortly before we decided to h…ead home I played one of their “Hot Slots”, feeding it a $20. I hit a $125 spin, followed very shortly by a spin for $450. We left with full bellies, enough leftovers for my lunch today, and $320 more than we started with. All of the staff we talked with were friendly, professional, and attentive to our needs. They allow pets in the hotel rooms so this is not the place to go for a quiet night sleep after gambling. Dogs barking all night. Casino seemed to not be hitting at all so all 4 of us were sad that we went home losers. Probably the worst casino I’ve been to. Had a very depressing vibe, had more fun at some little hole in the wall bar down the street. I recently visited this particular casino and had a great experience. The staff and hospitality was top notch. Some of the group won and some didn’t but overall it was one of the best casino trips that I’ve taken in years. We will definitely be back. Staff and employees went above and beyond taking care of their customers. Buffet was awesome as well. Thanks Harrah’s Metropolis!!! Btw- There was an elderly lady that won 10,000 on penny slots. Super excited for her!! Not as many people as last time. Machines (slots) not paying. Several gaming tables empty. Buffet at 5pm was left over from lunch. Had fun with my friends. I have 17 years of hotel operations experience from Marriott and InterContinental Hotels and because of that, I can say my experiences with all the staff are highly satisfactory. From door attendant to waitress at their buffet (which was complimentary), very polite and personable. The machines are tight except for the Raging Buffalo. I live in Nashville and though it’s a far drive, I prefer to go here than Kentucky Downs whose machines all sound the same and old. 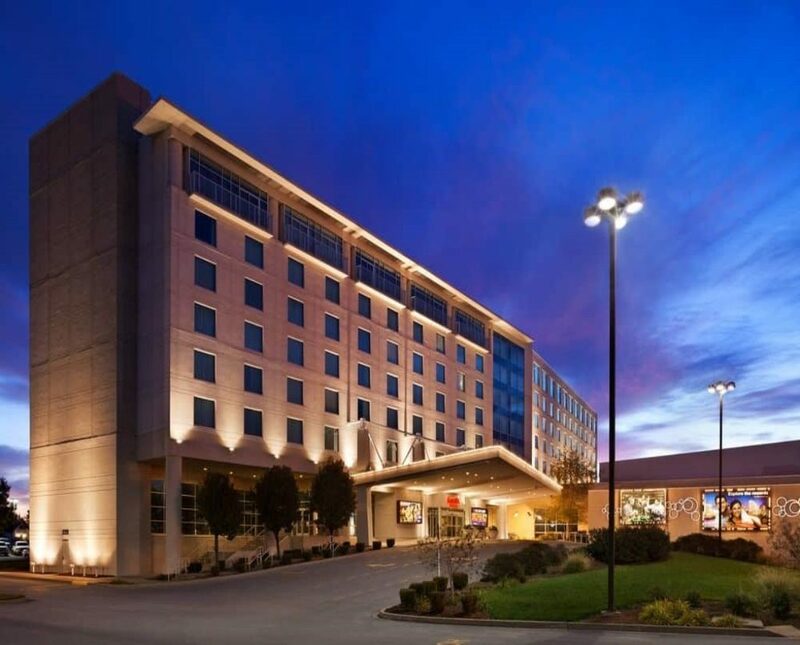 I had a wonder 3 night stay here the room was nice & clean the employees was nice friendly & polite the food was great & the casino was fun the drinks was on point above all I had a great time. Casino was great, we stayed the night and the front desk was very rude last night and this morning.. we waited at the bar for 10 mins for service and then was told we couldnt take drinks to our room after we were finally told we could take drinks to our room the bartender said the bar was closed at 10:30 on a Friday night.. we will go back to gamble but will never stay the night again. We had a great time, my wife won $1500 she had alot of fun…. 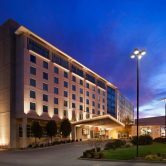 Really nice staff clean rooms I definitely would stay there again the only downfall was Harrah’s in Metropolis doesn’t have a pool and jacuzzi…. Got back from Metropolis today after spending the night. The room and good there was ok. The staff was friendly. They sent outvcoupons for free slot play and there was quite a few people there. The casino was a nightmare. We spent quite a bit of money but the machines were so tight everyone was complaining. People were on the elevator, at Bridges restaurant and at the machines. It didn’t matter what machine you played or the demontation of the amount you played. We cashed out for very little and very few times. My husband and I both have doubts if we go back. We usually deal with Harrahs any Where we go but this was truly a joke. We have Tropicana a few miles from our house. If your wanting to get away for the day I recommend you to the opposite direction of Metropolis. Ate all the rest of our meals at the BRIDGE for three days! Food and staff were great, especially Stef! Very expensive for buffet and food was terrible. Was not fond of casino either. The room was a real delight. Plenty of room and loved the layout of bathroom. The casino was awful as far as payout. We hoped to use the ATM but what a rip off….6.99 to get cash! Are you kidding? Guess that was good, saved us money since i refused to pay that much. Also the end of our gambling. Went to room and watched TV. Food was below par and expensive. Customer service at best left a lot to be. First … The mattresses need to be replaced. Second …. The buffet is closed on Wednesday and we weren’t told about it at checkin. 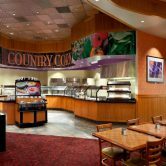 Third…the $15 food credit could only be used at the Express food counter for cold sandwiches and not for the burgers and wings we ordered. Fourth….the casino is closed early in the morning hours and doesn’t open until 9am. We were not told about this at checkin. My husband is an early riser who likes to visit the casino when he wakes up. Fif…th … Since he didn’t know about the 9am opening, he did not cash out from the night before. Instead he was going to use the money chit to gamble in the morning. We are travelers who get up early and on the road early. When we asked where we could cash out we were told ONLY IN THE CASINO WHICH OPENS AT 9! So we lost the money. Granted it was not a large amount but who wants to throw money away? We will never return to Harrahs Metropolis. Not impressed! First off we paid way to much to eat at a buffet that did not impress me at all. The people working there were all nice. The people eating were rude. It was just not a good experience for me. Casino was okay at best…. Staff was great. Good service. 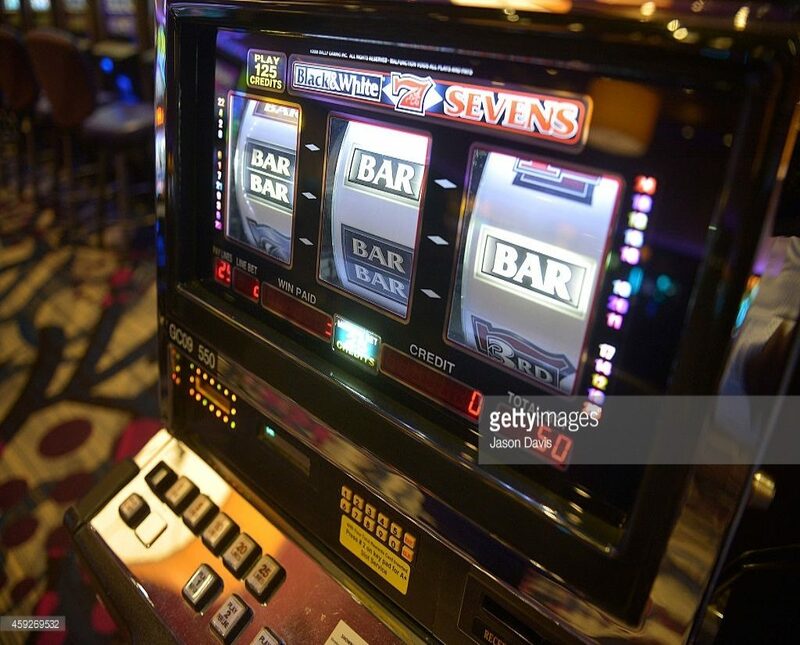 But when you play the slots, and literally lose all your playing money within the first hour or two of playing, it makes it really tough to enjoy yourself, much less to want to ever come back. I received no comps at all…. Even asked for some at rewards desk with no luck lol… Come on harrahs get it together. Ive been to vegas several times, atlantic city, tunica, and several casinos throughout the midwest. I have never had worse payouts from the slots than this. And card tables usually so full ya dont want to stand and wait….Think we will just drive the extra couple hours to tunica next time. (at Ieast the drinks are free there!!!!!) feel like i will go out of my way to not gamble at a harrahs establishment… Not impressed at all…..
Machines are too tight. I’ve never seen anything like that casino. Wouldn’t recommend anyone to go. Had a great time! The staff were very professional! As my boyfriend puts it…I was a virgin to the casino! Overall…It’s was absolutely amazing! From the buffet, to the slots and the Break fast Club band…. We’ll definitely be back!!!! Not a very high pay out on slots. Needs to be updated. I live in Nashville, TN. Me and my girlfriend drove out on Saturday, May 1st of 2017. It took us a little over 2 hours to get there. Great and convenient location! There is a huge variety of slot machines, several blackjack tables, and also they were playing live music. We had a great time, I would recommend it if you live close and just want to get away for a fun night! We will definitely be going back! Not many other players because nobody is winning anything there,,they must be building a new Casino on the water,,I was there April 18th from 7:30 PM to 9:30 PM,, didn’t win anything for the amount of money I spent there. I like the casino if I just could win. $200.00 on craps and lost another 40 on slot. Not a good day, but the people are great. Staff was very friendly and room was clean. $11 a night ” resort ” fee for what? Roller coaster on roof? Free breakfast? The answer is no to both of those. My urine stream produces more water pressure than the shower head. Comped room was super! We had great time in casino, winning a nice jackpot and staff was super! Only disappointment was that casino doesn’t open until 9 a.m. and we needed to hit the road earlier. Great breakfast at the restaurant, too! The people were nice and friendly. Slots were tight. The food was awful. Even the desserts on the buffet was eh. Won’t stay here again. I had a wonderful time there. And a wonderful birthday with my sister’s. We were there only for one night, but the place is clean and the rooms are spacious and clean. We look forward to returning! The hotel room was great we ate at the buffet big mistake table and chair where sticky and dirty lousy food selection for a buffet. We should have know that when we went at 6:30 on a Friday night and there was no line to get in and eat . All the other casino’s I have been to there is always a line on a Friday. As far as the casino it’s self I happy to see that it’s non smoking and as far as winning I didn’t but then again they are in business to make money . The people was very friendly and very helpful since I turned 21. I found my favorite game to play. I loved it. And will be back. No smoking!!! Fun table games! Friendly and courteous staff! Clean. It was wonderful. Everyone was very nice. The food was very good. The room was like a palace and It really made me feel good. Thank you. I really had a wonderful time. The Hotel room was nice and updated. Joshua in the snack bar was very nice and helpful. The casino area was good and clean, but VERY COLD. The slots were very tight! You’d think they would let you win some, as your gonna feed it back in the machine. I didn’t feel like I could even have fun playing as nothing was hitting. I have been going to casinos for years and I can honestly say that I have NEVER lost the amt I lost is such a short period of time, before in my life! Oh, yea, and I played the penny machines and not the max bets either. Husband played the tables and some slots and he too commented that that is the worse he’s ever done before. Don’t plan on going back there again. It had been years since we went last. It was on the boat. Staff was friendly but buffet is only every other day. 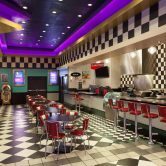 We ate at the in casino grill. Just so so. If you smoke you have to go outside and there is no ac in the screened in smoking area. No self serve drink bar and only one waitress serving the whole casino. 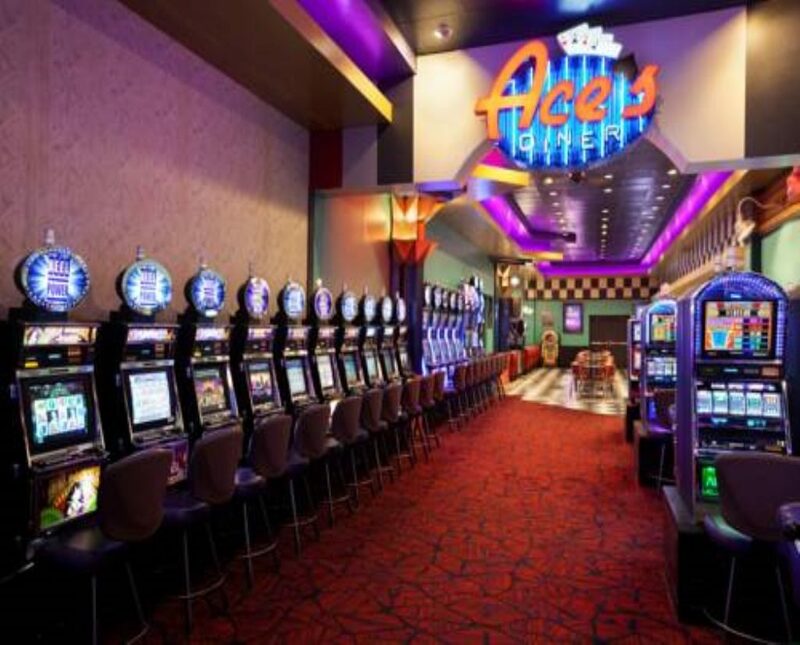 We won’t be back just to problematic for smokers or drinkers…..
U Could Barely Get on Any of the Slot Machines of your Choice, Rooms Were Soiled Out, It was just Ok!!!!!! Worst experience of my life!!! Staff was rude, heard a barking dog for an hour and they didn’t want to switch my room. Buffet was the only place I could eat because the hostess at bridges said she wasn’t taking anyone unless I had reservations and I couldn’t sit at the bar because the bartender was “busy” with three people sitting there. I’ll never go back again. They have gone downhill! They overbooked and sent us down the road to super 8 and said everything was taken care of, got there and it wasn’t. Not to mention the Super 8 motel was disgusting and reeks of cigarettes. I’m so disappointed, this ruined my whole vacation. Hotel accommodations very nice. Off the menu food in Bridges restaurant was good. Had to pay for drinks while gambling, bummer. Won a little so no complaints. No morning coffee service before 7am, bummer. Staff personnel all very nice. Might visit again. The room and the staff were excellent! The gaming floor was very small since they closed the river boat. The hotel rooms are so nice ? An the bed was so comfortable.the entire room was nice An clean.i will be back again.thanks for the nice hospitality room service. This visit was the worst visit I have every had. Mike the supervisor yelled at me n my mother and sister. Also while he was yelling two other workers were yelling. Asked to talk to someone about this and they stated nobody could help me. Spent 4 hours trying to get in our room. When going to finally get in the reservation was totally wrong. Got up to room and keys didn’t work. Why????? Because the sent us to wrong room. Then we get into our room and it was dirty. Food left f…rom the last people that stayed there in the refrigerator. They were no comps. Slots didn’t pay a dime. Food was absolutely nasty just thrown together. This is the last time I will ever come here and I will make sure to tell everyone I know how bad this hotel is managed and how this hotel treats their guest. To many other casinos we go to frequently that are better. DONT GO TO THIS CASIno!!!!! Room was nice but could be updated. Room service was very high priced for what is offered. ATM fee is slightly over priced. Really $6.99 for cash!! Casino could open earlier on the weekend. Travelers that want to gamble but have to get on the road might not want to wait until 9:00 am. It’s a good small town casino. Good stop off point from the south north. This place was horrible. Stayed in two different rooms, about a week apart. Both rooms had horrible stains (unfortunate ones) and complaining about it at the front desk did not get me anywhere. They have no staff working in the only restaurant in the place, and the poor waitress had to take care of everyone, where at first we were denied a table because they were too busy, with only one table of customers. Dirty dishes all over empty tables. I’m an easygoing person, and now I’m having billing issues in which after calling different numbers for over an hour, leaving messages and talking to different people I still don’t have answers. Never ever again. Don’t waste your money here. Always there to great you with a smile…. Love the simple little things. We just love playing at Harrah’s. The machines are not stingy. The beverage servers are super sweet. The casino floor is always as spotless as their bathrooms. The buffet was very good, and so was the service. I am sure we will continue to go there frequently. I wasn’t there, must have been someone who looked like me, really, you think there is another. Casino was clean but hotel room had toenails and dust in the window sill. I LOVED that they don’t allow smoking in the casino!!!! It’s really cold in the casino and hallways but you can control your room temperature. Restaurant was too expensive but other good restaurants are just across the river in Paduca. I won $75. Had a perfect stay there. Room was spacious, very clean and a great view over the river. Thoroughly recommend this hotel. Here for 3 days. Booked almost a year ago. No Texas Hold em. Only reason I came. Apparently they lost the ability to have them. I Should’ve been told. Now I have a wasted vacation. Oh, and girl said refund is only possible if I took it right then. She wouldn’t give me time to find another hotel/casino. Now here I am at a casino I can’t play in. Thanks a lot. We were there to see the Eclipse. Their marketing group totally failed on this. Massive event and on Monday when they should have had a tent set up outside and eclipse shirts to give away, they did absolutely nothing, except to pass out glasses. Unbelievable! I guess I’ll give it one star because the rooms were very nice. The aces snack bar hamburger we have no idea what was in it we threw them away after one bite. No buffet on Monday Tuesday or Wednesday is really? Do not go into this casino, and plan to have more than 5 drinks. I was very tired, and traveling. I had some beers, and ended up falling asleep at a slot machine. I was not yelling, cursing, or being disorderly. The security guard said I was not allowed to be on the floor drunk, so he sent me to my room. I was upset, because this was my vacation. I had just won a jackpot an hour earlier, and wanted to spend money. My boyfriend called at the desk, (we were in our room), …and told management that the customer service was horrible, and they ruined our vacation. No signs are posted saying you can’t be drunk. Everyone knows that lewdness, or violence, etc is not tolerated. But I wasn’t doing any of that. My boyfriend made 2 calls to front desk, and the manager gathered the state police, security, gaming officers, etc. Went to our room, and threatened to break the door down and arrest us, if we did not open the door. All because we made complaints, because we were not drunk on the floor. We were drunk in a rented hotel room, which is not against the law. Making customer service related calls. Also not illegal.. they put cameras under our doorway, kicked us to the hotel next door, because we did not understand Illinois laws. I am from KY! First time there. Had a great time. Employees were great. Bed was comfy. Disappointed there was no breakfast buffet on a Sunday morning. Property was clean. Smoking areas were easily located. I drank gambled, ate, and danced. Still came home with $80 more than I started with. Will be visiting again. Wasn’t at all impressed. Won’t go back! Was a joke. I visited this site with my 88 year old mother, on Labor Day 2017, we were treated horrific. She was asked for a email address to get a players card, otherwise she couldn’t get her free play. Really! She live with me and they wouldn’t even accept mine. For me I was trying to get a pin number for my free play, I stood up there for 45 minutes as they researched my ability to play at their properties with no explanation, when I have played at many of their properties over the last few years, including this one this year. Harrah pay attention to your customers if you want to keep them, my research shows this company was built on Bill Harrah, motto treat everyone as a VIP, I recommend you go back and do your research! I will never visit this location or another one, you just lost two diamond players! The worst casino ever! Checked into hotel bout 11:30 pm. I guess u won too much money because they escorted me out?!!!! Really?! Was only there for Half hour! Probably the least favorite among all Harrah’s I have stayed. This place needs an overhaul. What is with security? The casino reopens @ 8 AM. Restaurants are limited. Steak House inside was very good. Buffet only opens on weekends. Disappointed. When I parked my vehicle . What appeared to be employees doing drugs in the parking lot near me. Again disappointed. Awesome time…good food…great atmosphere no smoking thats a plus….friendly staff…Love this place….